The phosphorus (P) chemistry interactions with, soil type, soil food web, soil pH, plant species, soil carbon, soil nutrient budget, pasture growth, paddock livestock carrying capacity, variable rainfall and ecosystem functions, has become an investigative topic for me. I am continually challenged by how conventional agricultural science has simplified phosphorus fertiliser applications for maintaining or increasing plant production in an incredibly complex soil medium where interactions are only partly understood. My wonder about the topic constantly returns to how natural grassland ecosystems have been able to regenerate themselves for millennium without phosphorus inputs. Even with the introduction of livestock farming most native grasslands across Australia’s pastoral zone continue to remain productive without fertiliser inputs. Even more fascinating is how grazing ecosystems abused by excessive stocking rate and declining soil phosphorus levels respond to rest and above average rainfall. Agricultural science theory about phosphorous capital and maintenance requirements seem to fly out the door in good rainfall years. Roadsides colonized by introduced species and regularly mown for fire prevention are testimony to this. I don’t know but the more scientific papers I read on the subject highlights how little agricultural science knows about phosphorus, or maybe it has a propensity to simplify discussion by recommending rule of thumb applications. Similarly the ideologues who advocate natural farming are guessing about input effects and outcomes. With both groups trials and experience provide a level of comfort about outcomes across various phosphorus measures which in many circumstances have become standard practice. But that’s the problem, rather than allowing nature to express itself, standard practices become mandatory. What happens to P fertiliser? • Most of Australia’s cropping soils have a long history of P application, but only a small proportion of this P is available to the current crop. • When P is applied to soil up to 70% will be precipitated or adsorbed by the soil into forms that are unavailable to the current crop. • The crop will access some P from the fertiliser as well as from slowly available pools built up over time. • The problem is that it is very difficult for plants to access P that is locked up in the ‘soil bank’, this is particularly true on soils with a high phosphorus buffering index (PBI). For this reason, in most cases annual applications of P at sowing are needed to meet the crop requirements. • Where P application has built up a large P bank, a stable response can be obtained with the use of maintenance P dressings – where P input as fertiliser balances P removal in grain. The same thinking is used by agricultural scientists for pasture phosphorus recommendations particularly when sub clover is a significant proportion of paddock herbage. 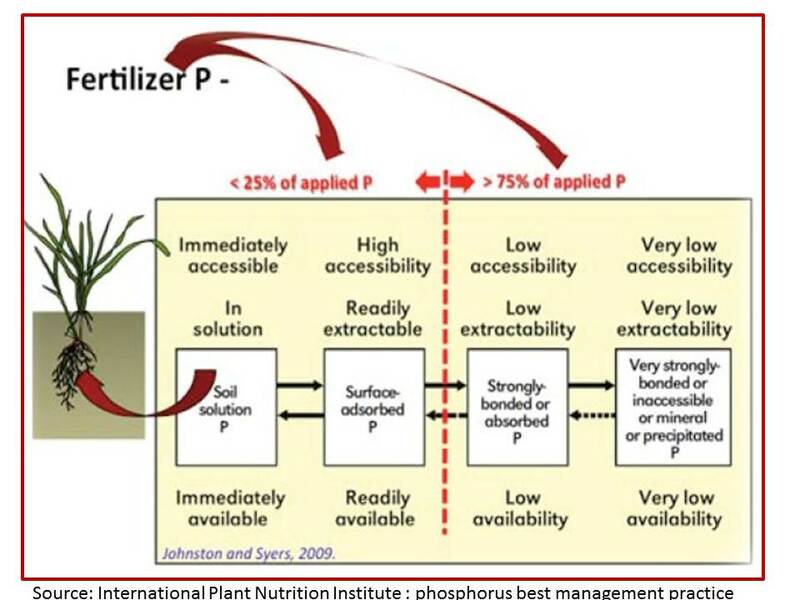 The article included a figure to illustrate the problem farmers face with phosphorus fertiliser use, figure 1. The problem I have with this figure is that I makes general assumptions about what happen to P in soil and does not account for the what variation in soils and interactions that take place between plants and microorganisms in the rhizosphere (the area surround roots). Nor does it take any account of soil organic matter content. 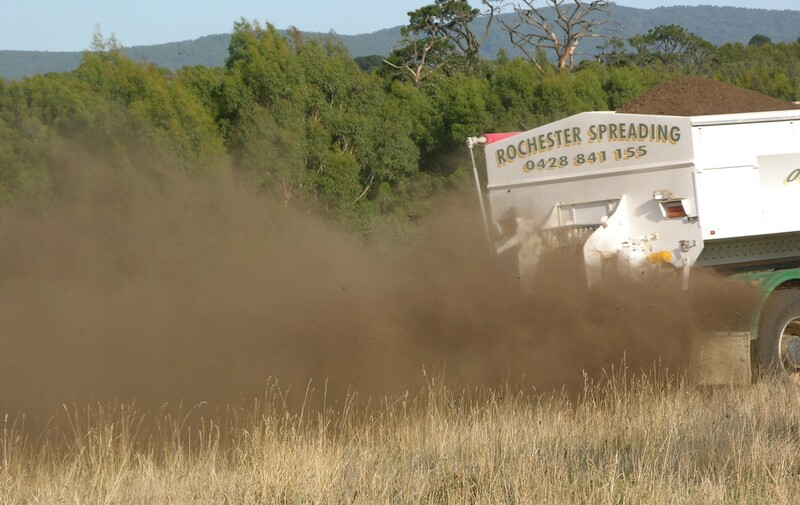 While the principle of nutrient budgeting is important to implement, in contrast to cropped paddocks, far less nutrient is being exported in pasture paddocks each year. So farmers who use the rule of thumb of applying maintenance P each year, are likely to developing a large soil P pool which is unnecessary for optimum pasture growth and may be contributing to P pollution in water ways. Figure 1: A simplistic representation of what happens to phosphorus fertiliser. So how accurate is this depiction particularly in grasslands where there are so many interactions taking place between all the factors outlined in the first paragraph? Of particular interest to me is the 75% of applied P which is considered to have “low availability” and “very low availability”. Is this a perceived concept which satisfies our lack of knowledge outside of crop monocultures or high simplified pastures, and our desire to provide farmers with a simple answer to a complex issue? My reading of the scientific literature emerging over the last five years suggests the latter might be the case. What follows are precis of research papers associated with phosphorus that suggest different approaches need to be taken with P fertiliser recommendations. The simple approach associated with capital and maintenance applications seems to be losing its relevance for profitable and environmentally responsible multi-plant species pasture based livestock production. The fact that some of the papers refer to crop nutrition does not negate their relevance to pasture farming systems. What happens across crop species is likely to be relevant across pasture species but with two important differences – moderate to high plant species diversity In pastures versus crop monocultures, and higher soil organic matter levels in pastures compared with crops, particularly those cropping soils with a long ploughing history. A novel biologically-based approach to evaluating soil phosphorus availability across complex landscapes. By Thomas H. DeLuca et al, Soil Biology & Biochemistry 88 (2015) 110e119. Plants employ a range of strategies to increase phosphorus (P) availability in soil. Current soil P extraction methods (e.g. Olsen P), however, often fail to capture the potential importance of rhizosphere (the area surrounding plant roots which supports soil biota) processes in supplying P to the plant. In response to this, the scientists tried a novel procedure using a suite of established extraction methods to explore the concept of a protocol that characterizes P pools available via plant and microbial P acquisition mechanisms. The biologically based P (BBP) extraction was conducted by using four extractions in parallel. To test the protocol, they conducted the analyses on a total of 204 soil samples collected as part of a UK national ecosystem survey (Countryside Survey) in 1998 and repeated again in 2007. The samples were taken across a range of ecological sites including fertile pastures, infertile pastures, retired crop paddocks and woodlands. In the survey, Olsen P showed a net decline in national soil P levels during this 10 year period. In agreement with these results, soluble P, citrate extractable P and mineral occluded P were all found to decrease over the 10 year study period. In contrast, enzyme extractable organic P increased over the same period likely due to the accumulation of organic P in the mineral soil. The method illustrates anoted shift in P pools over the 10 year period, but no net loss of P from the system. This is an extraordinary statement as it is contradicts much of the agricultural science advice which suggests a steady decline in plant available P takes place each year. The authors contend the observed decrease in inorganic P over a 10 year period does not specifically reflect a net loss of P from the system; but rather demonstrates a noted change between pools of P from inorganic to organic with the significant increase in enzyme extractable organic P. This is seen across soils in all soil organic matter categories and under most vegetation types to varying extents. Further, the results suggest that the inorganic P is not simply precipitating out into increasingly insoluble forms. The increasing enzyme extractable organic P across many categories of vegetation suggests that P is being taken out of the mineral soil by plants and soil biota and is accumulating P in an organic form in litter and O horizon organic matter. The organic P fraction can make up between 20 and 80% of total P in some soils. A proportion of this will be easily hydrolysed and made available for plant uptake, but the remainder is relatively stable and will remain occluded. Given the limited solubility of P and its propensity to adsorb to organic and mineral surfaces, almost all plants have evolved to develop specialized mechanisms for enhancing P acquisition from soil. Therefore, measurement of P across landscapes using a single extraction technique (Olsen P) is likely to generate artefacts and will not adequately reflect P bioavailability. The biologically based P (BBP) method illustrates a noted shift in P pools over the 10 year period, but no net loss of P from the system. It shows great promise for assessing biologically available P. This new method is simple and inexpensive and therefore has the potential to greatly improve our ability to characterise and understand changes in soil P status across complex landscapes. 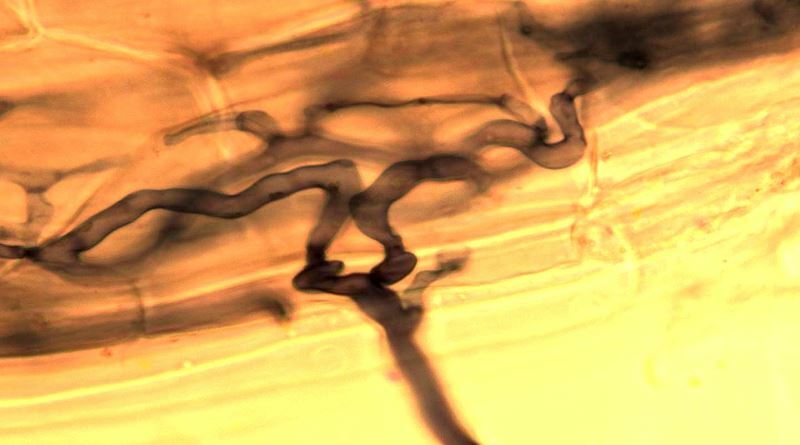 The arbuscular mycorrhizal (AM) symbiosis, formed between the majority of land plants and ubiquitous soil fungi of the phylum Glomeromycota, is responsible for massive nutrient transfer and global carbon sequestration. AM fungi take up nutrients from the soil and exchange them against photosynthetically fixed carbon (C) from the host. Recent studies have demonstrated that reciprocal reward strategies by plant and fungal partners guarantee a “fair trade” of phosphorus against C between partners. Phosphorus (P) is a finite and dwindling resource. Debate focuses on current production and use of phosphate rock rather than on the amounts of P required in the future to feed the world. We applied a two-pool soil P model to reproduce historical continental crop P uptake as a function of P inputs from fertilizer and manure and to estimate P requirements for crop production in 2050. The key feature is the consideration of the role of residual soil P in crop production. Model simulations closely fit historical P uptake for all continents. Cumulative inputs of P fertilizer and manure for the period 1965–2007 in Europe (1,115 kg⋅ha−1 of cropland) grossly exceeded the cumulative P uptake by crops (360 kg⋅ha−1). Since the 1980s in much of Europe, P application rates have been reduced, and uptake continues to increase due to the supply of plant-available P from residual soil P pool. We estimate that between 2008 and 2050 a global cumulative P application of 700–790 kg⋅ha−1 of cropland (in total 1,070–1,200 teragrams P) is required to achieve crop production according to the various Millennium Ecosystem Assessment scenarios. We estimate that average global P fertilizer use must change from the current levels to 16.8–20.8 teragrams per year in 2050, which is up to 50% less than other estimates in the literature that ignore the role of residual soil P.
Readily available P in the soil solution provides most of the plant-available P. The two main factors that control the availability of P to plant roots are the concentration of phosphate ions in the soil solution and the P-buffer capacity, i.e., the ability of the soil to replenish these ions when plant roots remove them. Soils differ in their buffering capacity and in the extent to which they fix P in insoluble compounds that are unavailable for uptake. P fixation depends on the amount of iron and aluminum oxides (properties that are particularly relevant in strongly weathered tropical soils) or high calcium activity. Following a traditional misconception that P fixation is dominant and irreversible, P has been used excessively in agricultural systems for decades in many industrialized countries, Figure 2. 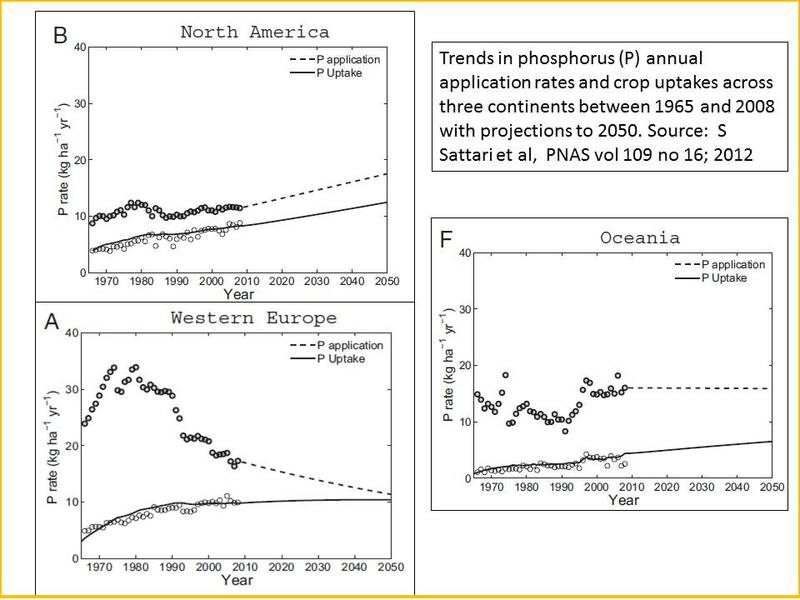 Figure 2: In virtually all continents around the world (except Africa) annual phosphorus applications per hectare to cropping land has vastly exceeded phosphorus uptake by crops per hectare. A critical concentration of readily available P must be maintained to obtain good crop yields. Crop uptake is generally only 10–20% of the P fertilizer applied in the first year, but a substantial part of applied P accumulates in the soil as residual P. The residual P is the difference between P inputs (mineral fertilizer, manure, weathering, and deposition) and P outputs (withdrawal of P in harvested products, and P loss by runoff or erosion). The residual value of P refers to P that can be taken up by crops for many years, depending on soil P fixation capacity, soil pH, crop species, and P application time. In an ideal situation, when adequate P is present in the readily available pools, annual P inputs from fertilizer equal to the plant P uptake may be adequate to maintain good crop yields. Where the amount of readily available P is below a critical level, the rate of P release from residual P is insufficient to sustain optimal crop yields. Here, an analysis is presented of the historical and future demand of P in global crop production systems. The key feature of this study is the contribution of residual P to the available P for crop uptake at the continental and global scale. A dynamic phosphorus pool simulator (DPPS)—a simple two-pool P model, including labile and stable pools and long-term P input and output data, is applied in this analysis to simulate the P transformations in soil, the build-up of residual soil P pool, and crop P uptake. Experimental data at field, farm, and country scales support our findings that when soil-available P is adequate, crop yields can increase with decreasing or even halting P application. For example a farm-scale study showed that long-term (1989–2006) equilibrium P fertilization did not lead to reduced crop yields in Dutch sandy soils. A recent national-level study on P fertilizer in Japan indicated that crop yields remained constant or even increased, despite a decline in use of P fertilizer and manure between 1985 and 2005. Even in high P-fixing soils, a large initial application of P (∼600 kg⋅ha−1) can be adequate for cultivating maize for 7–9 y because of the effect of residual P.
Accounting for the relative contribution of P from animal manure in global croplands under the GO scenario (32%), global inorganic P fertilizer use must be 20.8 Tg in 2050. This is 10–40% less than estimated in other studies. However, a large part of the P in animal manure that is recycled in cropland originates in grasslands. This transfer of P from grasslands to cropland is particularly important in developing countries, and contributes to the build-up of residual soil P in cropland. Given the increasing future demand for grass, additional fertilizer P will be required to maintain soil fertility in the world’s soils under grassland. The alkaline Vertosols of the northern grains region contain a pool of phosphorus (P) that is rapidly available to plants, and a diminishing reserve-P fraction that has been considered to slowly replenish the available pool. The process of replenishment is not well understood, and this may lead to inefficient use of fertiliser. The reserve-P is acid-soluble, and may be native soil P or fertiliser reaction products. Crop response both with and without P fertilisation in Vertosols have shown that plants access acid-soluble P not measured by the bicarbonate method (Colwell P test). It is possible that modification of soil in the rhizosphere, particularly acidification, enables plants to directly access the acid-soluble P fraction. Broader understanding of the pH buffering properties of the soils, and the nature of P reserves, may allow better selection of varieties and management of P fertiliser. GRDC recently invested in quantifying the variation in root response of 10 northern wheat and 5 barley lines to P, K, S and N nutrition. The data acquired was used to generate a table identifying which varieties may respond well in low soil P, high soil P, stratified P (high surface and low subsoil P) and where growers have placed subsoil banded P. These are conditions growers may face under a range of fertiliser application strategies. For example, low soil P may arise with a history of cropping with minimal P replacement. High soil P may occur where land is recently cleared, or fertiliser application has been maintained with both surface and subsoil placement. There was considerable genetic variation in the capacity of plants to access P from this P responsive soil. Baxter had the highest acquisition efficiency and Sunguard the lowest. In a low P environment, longer root lengths may increase surface area and therefore the opportunity to acquire P from the larger surface area. Similarly, there was variation in both how much P was required by individual varieties to generate shoot biomass, and in how far in advance of biomass production varieties acquired the P from the soil. This suggests that some varieties will grow better, and yield higher in soils with low P status. And that some varieties, with the ability to accumulate P in advance of requirements will perform better in scenarios where there is a P rich topsoil that can be exploited and mined for P early in the season before drawing water from P depleted subsoil layers. Human activities have resulted in large increases in the availability of nutrients in terrestrial ecosystems worldwide. Although plant community responses to elevated nutrients have been well studied, soil microbial community responses remain poorly understood, despite their critical importance to ecosystem functioning. Using DNA-sequencing approaches, we assessed the response of soil microbial communities to experimentally added nitrogen and phosphorus at 25 grassland sites across the globe. Our results demonstrate that the composition of these communities shifts in consistent ways with elevated nutrient inputs and that there are corresponding shifts in the ecological attributes of the community members. This study represents an important step forward for understanding the connection between elevated nutrient inputs, shifts in soil microbial communities, and altered ecosystem functioning. CONSIDER PHOSPHORUS NEEDS FOLLOWING FLOODED SOIL CONDITIONS – Potash & Phosphate Institute Georgia USA. Wet fall and winter conditions cause many fields to be water-logged. In rice-producing areas, crops that follow rice are often planted on soils that have either been flooded all summer and winter, or that have been water-logged with winter rains following the rice harvest. As the soils dry and planting time approaches, several reactions occur that influence phosphorus availability and need. Phosphorus that is bound with iron and aluminum oxide compounds becomes more soluble under flooded conditions. When the soil dries, however, iron re-oxidizes and begins to form complex compounds with phosphate, resulting in less plant-available phosphorus. Phosphorus is also present in soils in organic forms which are not utilized directly by crops. As organic matter decomposes with sufficient oxygen, moisture, and microbial activity, phosphate is released. Under flooded or water-logged conditions, organic matter mineralization and release of phosphates is limited. On soils that have been land leveled, subsurface layers that are high in iron and aluminum and also low in organic matter are often exposed, resulting in chemical reactions that reduce phosphorus availability. On soils that are acidic and have high iron and aluminum contents, and which also have low organic matter contents, phosphate…that which is native in the soil or that added as fertilizer…is subject to ‘fixation’. In simple terms, this means that phosphorus is bound in forms unavailable or only very slowly available to plants. Mixing phosphorus fertilizer with the soil results in more fixation than when phosphorus is banded. In soils that are alternately wetted and dried (flooded and drained) the phosphorus fixation is much more extensive and less reversible than under continuously flooded (wet) conditions. This helps explain why crops rotated with rice have an increased need for phosphorus and why banded phosphorus applications are often superior to broadcast applications. DEALING WITH SEASONAL VARIABILITY IN SOIL TEST RESULTS – Potash & Phosphate Institute Georgia USA. Sizeable fluctuations in soil test levels can occur seasonally (monthly) and are associated with changes in soil temperature and moisture, soil microbial activity, crop residue decomposition, clay mineralogy, and nutrient cycling. Shallow soil samples (0 to 10cm) may be more susceptible to seasonal fluctuations in test results than samples collected from deeper depths. Soil pH—can vary as much as 0.5 to 1 pH units on poorly buffered soils, especially on the coarser textured soils. Soil pH is usually lower in dry periods and higher in wet conditions. Extractable soil phosphorus—-may be more stable than soil pH and extractable potassium in the majority of soils. Under prolonged flooding, phosphorus associated with iron complexes can be released. When soils dry, phosphorus can be bound tightly in iron and aluminum complexes, which lowers availability to plants. Seasonal variation can be as much as 10 to 20 kgs per hectare or 5 to 10 parts per million (ppm). Tracking trends in soil test results over time is just as important as the soil test value in a given year. Up to 15% of soil organic matter is fresh organic material and living organisms. Another third to one half is partially and slowly decomposing material that may last decades. This decomposing material is the active fraction of soil organic matter. 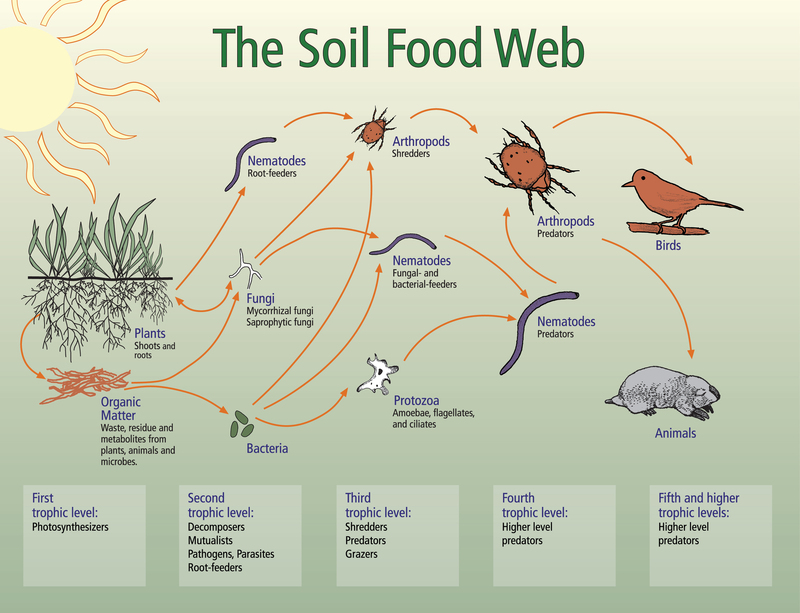 The active organic matter, and the microbes that feed on it, are central to nutrient cycles. Many of the nutrients used by plants are held in organic matter until soil organisms decompose the material and release ammonium and other plant-available nutrients. Organic matter is especially important in providing nitrogen, phosphorus, sulfur, and iron. A soil with 3% organic matter contains about 3,000 kgs of nitrogen per hectare. Depending on the rate of decomposition, 25 to 100 kgs per hectare may become available to plants in a year, but it is difficult to predict the decomposition rate. In Minnesota, decomposition rates are typically about 2%. This means that one hectare of crop plants on a soil with 3% soil organic matter may get 60 kgs of their nitrogen and 6 kgs of their phosphorus from soil organic matter. High organic matter increases productivity and, in turn, high productivity increases organic matter. The two major soil fertility constraints of the West African savannah and in the subhumid and semi-arid regions of SSA are low inherent nutrient reserve and rapid acidification under continuous cultivation as a consequence of low buffering or cation exchange capacity. Generally, these constraints are tackled by applying chemical fertilizers and lime. However, the application of inorganic fertilizers on depleted soils often fails to provide the expected benefits. This is basically because of low organic matter and low biological activity in the soil. The chemical and nutritional benefits of organic matter are related to the cycling of plant nutrients and the ability of the soil to supply nutrients for plant growth. Organic matter retains plant nutrients and prevents them leaching to deeper soil layers. Microorganisms are responsible for the mineralization and immobilization of N, P and S through the decomposition of organic matter. Thus, they contribute to the gradual and continuous liberation of plant nutrients. Available nutrients that are not taken up by the plants are retained by soil organisms. In organic-matter depleted soils, these nutrients would be lost from the system through leaching and runoff. Phosphate fixation and unavailability is a major soil fertility constraint in acid soils containing large amounts of free iron and aluminium oxides. In comparing the P-sorption capacity of surface and subsurface soil samples, Uehara and Gilman (1981) provided indirect evidence that soil organic matter can reduce the P-sorption capacity of such soils. This implies that for high P-fixing soils, i.e. oxide-rich soils derived from volcanic and ferro-magnesian rocks, management systems that are capable of accumulating and maintaining greater amounts of calcium-saturated soil organic matter in the surface horizon would increase P availability from both organic and fertilizer sources. Mycorrhizae are particularly important for phosphate uptake because P does not move towards plant roots easily. These organisms do not harm the plant, and in return, the plant provides energy to the fungus in the form of sugars. The fungus is actually a network of filaments that grows in and around the plant root cells,forming a mass that extends considerably beyond the root system of the plant. The rhizosphere is the region of soil immediately adjacent to and affected by plant roots. It is a very dynamic environment where plants, soil, micro-organisms, nutrients and water meet and interact. 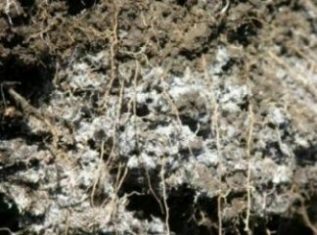 The rhizosphere differs from the bulk soil because of the activities of plant roots and their effect on soil organisms. The root exudates can be used to increase the availability of nutrients and they provide a food source for micro-organisms. This causes the number of microorganisms to be greater in the rhizosphere than in the bulk soil. Their presence attracts larger soil organisms that feed on micro-organisms and the concentration of organisms in the rhizosphere can be up to 500 times higher than in the bulk soil. An important feature of the rhizosphere is the uptake of water and nutrients by plants. Plants take up water and nutrients into their roots. This draws water from the surrounding soil towards the roots and rhizosphere. They alter the movement of C compounds from roots to shoots (translocation). Earthworm galleries (burrows) provide an easy pathway for roots to take as they grow through the soil. Micorrhizal associations can increase nutrient uptake by plants. Some of the nutrients in the soil are held in the organic matter, comprising almost all the N, a large amount of P and some S. When organic matter decomposes, the nutrients are released into the soil for plant use. Therefore, the amount and type of organic matter in the soil determines the quantity and availability of these nutrients in the soil.